Imagine having a nightmare in which you encounter a monster. The monster breathes fire, is on a rampage, and has a thick, impenetrable hide. Worst of all, the only weapon you have are your hands your wits and your will to survive. Unfortunately for some homeowners under water, this nightmare is very much real. The monster is their situation, the rampage is the preeminent foreclosure, and the impenetrable hide is the blockade between them and financial recovery. Luckily for them, the option to short sale is available; Government backed programs such as HAFA allows these homeowners to sell their homes for less than what is owed on their mortgage. Participants of the HAFA program can sell their homes and walk away free and clear with a guarantee that the deficiency will be waived by the lender. Best of all, a credit (up to $3000) is often given to the seller for relocation assistance. Of course, homeowner’s must meet certain eligibility guidelines in order to participate in HAFA. To see if you meet these guidelines reference the “Making Homes Affordable” website –Link found below. Appealing as it may sound; most homeowners who go through this process will find that short selling is another beast of its own. Even with the help of the most experienced realtors, sellers encounter many difficulties navigating through the entire process. The problem stems from the uniqueness of each transaction. Lenders require different documentation and every situation is different. 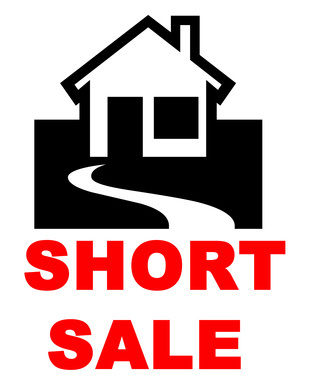 The best way to handle this challenge is to be equipped with a knowledgeable team of short sale experts. Shop around for a negotiator, typically an attorney, who is familiar with every servicer. Blick Law Firm specializes in short sales and captures the negotiation fees from the lender. They’ve closed on a myriad of short sale files and are familiar with every loan servicer. They can get the job done. Schedule your free consultation with Blick Law Firm experts today, Call 888- 973-2776!